The Rampant Scotland Newsletter - your insight into what has been happening in Scotland, snipped from the Scottish media, for Scots in Scotland and abroad. Bringing you news and events, plus a Scottish magazine section. Published every second week, with 100% recycled electrons. It was the former UK Prime Minister Harold Wilson who is credited with first using the phrase "a week is a long time in politics." That truism was proved once again last week when First Minister Alex Salmond failed to get approval for his £33 billion budget in the Scottish Parliament. Since the Scottish Nationalists do not have an overall majority, they have to negotiate with other parties to gain support. They had already gained the votes of the Conservative Party with the promise of a £60 million town centre regeneration fund and other projects. But despite making last minute concession to the demands of the Scottish Green Party (with two seats), it was not enough and the vote turned out to be a tie. In accordance with convention, the Presiding Officer (Speaker) voted against the finance bill, raising the spectre of the government's hands being tied. But after feverish negotiations in the following seven days,first the Liberal Democrats agreed to support the Finance Bill - in return for agreement on the Scottish Government submitting a request to the Calman Commission's study into the future of devolution. Until now, the Scottish National Party has ignored this UK government inspired look into devolution (which is not allowed to consider full independence). The Liberal Democrats want the Government to formally propose to the Calman Commission that the Scottish legislature should be given more borrowing powers. Then even the Labour Party agreed to support the Budget - in return for funding for 7,800 extra apprenticeships next year. So in the end - after a long and busy week - the budget was passed 123-to-2 - with the Greens still out in the cold. The UK economy, officially in recession with a second consecutive quarter's decline in gross domestic product, nevertheless performed less badly than the Scottish GDP in the third quarter of last year. Scotland declined by 0.8% in the quarter, lagging behind the UK figure of -0.6%. It was the service sector (which includes the troubled finance and banking industries which had previously been a star of the Scottish economy) that had the worst figures in Scotland, declining by 1.1%. Construction fell by 1% and, perhaps surprisingly, the production sector grew by 0.8% in the quarter. Putting a gloss on the figures, John Swinney the Finance Secretary pointed to Scottish unemployment rate still being lower than the UK average and areas of real strength, such as renewable energy. The official figures have yet to take account of the continuing decline in order books in the final months of 2008 and the figures are likely to get worse before they get better. 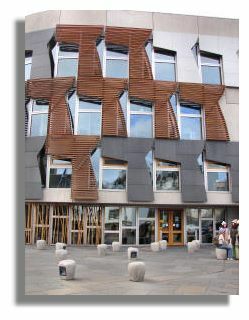 The investigation into the fiasco of the 2007 elections for the Scottish Parliament and local government (when 140,000 ballot papers were deemed to be invalid) recommended that the two elections on separate days. So now elections for the Scottish Parliament will continue to be held in April every four years, but legislation is to be brought forward which will extend the current and the following local council terms by one year. So the next local government elections may well be held in 2012 and again in 2017, before reverting again to every four years. That will eliminate the voter confusion which prevailed in 2007 when the two types of ballot paper was one of a number of elements leading to chaos in that election. It is also argued that having local government elections on a separate day will mean that they are not overshadowed by the national vote. As a result of the work involved in laying the tracks for the new tramway line in Edinburgh, the Capital's major thoroughfare and shopping street is to close for eight months. Starting on 21 February, Princes Street will be a no-go area for traffic and the closure is expected to be a cause of major traffic disruption, which will last right through the summer. Pedestrians will be banned from walking along the south side of Princes Street, next to the gardens and the castle, although three access points will be provided, including one to serve the National Gallery of Scotland. 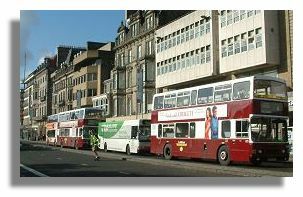 All public transport is to be diverted on to George Street, but other motorists will use Queen Street. A previous attempt at closing a smaller stretch of the road last October brought city centre traffic grinding to a halt. But the transport planners (who have a track record for badly thought out schemes) say that everything possible has been done to keep disruption to a minimum. But keeping the westbound lane of Princes Street clear of any roadworks for the first week - in case the diversions do not work as planned - do not inspire confidence. When a lorry broke free of its restraints on the Stena Line ferry service between Stranraer in south-west Scotland and Belfast in Northern Ireland, it crashed through the ship's rear doors and was left hanging out of the back of the ship. The vessel returned to Stranraer but the 156 passengers and 33 crew were not able to disembark because the ferry could not berth as the lorry was blocking the way. A 400-tonne had to travel from the north of England to remove the lorry and allow the ferry to dock - but that took until the following day. In the meantime, many of the passengers and crew had to remain on board. They were given blankets, food and drink during their night on the ship. The ferry had just returned to service a few days earlier, after a £1 million refit. Stena Line services from Stranraer to Belfast were suspended until the problem was resolved, with passengers and vehicles transferred to an alternative P&O service from the Cairnryan ferry terminal a few miles from Stranraer. 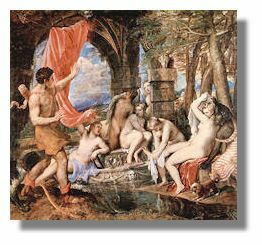 The Scottish Government this week confirmed its contribution (£12.5 million) to the purchase of Titian's "Diana and Actaeon" which has been on display in Edinburgh for the last 60 years. It has also secured the wider Bridgewater Collection until at least 2030. This collection of Titian, Raphael, Rembrandt, Poussin and many other artists has been lent to the National Galleries of Scotland by the Duke of Sutherland since just after the Second World War. The National Gallery in London has also pledged £12.5 million from its reserves and as a result the Titian paintings will be shared with the London gallery, with each institution taking the works for five years in rotation. The rest of the collection will remain on loan to the National Galleries of Scotland for the next 21 years. It is claimed that Scotland has the capacity and capability to become the "green energy capital of Europe." The country does have a competitive advantage across a wide range of renewable technologies - with up to 25% of Europe's offshore wind, wave and tidal energy potential. Now Scotland is to participate in the European Union North Sea Offshore Grid, which will help export surplus renewable energy via the electricity supergrid. The European Union's North Sea Grid Co-ordinator has had a recent meeting with Scotland's First Minister, Alex Salmond, to discuss opportunities and possible programmes around developing the offshore grid in the North Sea. The First Minister pointed out that the new Scottish European Green Energy Centre, based in Aberdeen, will be operational from April 2009. It will provide a focus for Scottish based industry and research with the aim of putting Scotland at the forefront of European and world developments in the green energy field. The Royal National Lifeboat Institute (RNLI) - supported by public donations and voluntary crews - rescued 762 people off the coasts of Scotland last year, an average of nearly two a day. The busiest inshore lifeboat was the one based at South Queensferry, which rescued 75 people. 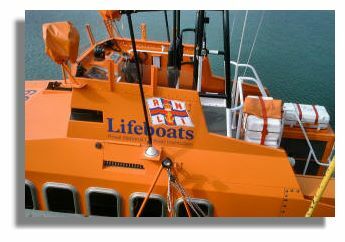 The crew of the lifeboat on the island of Islay rescued seven from a stricken boat in conditions described as like a "deep spin in a washing machine". Sometimes, of course, lifeboats are launched to attend an emergency, only to find that a well-intentioned mistake has been made. Like the time they rushed to the Dornoch Firth after reports from the public about cattle in the sea. When they got there, they found that a farmer had encouraged his cows to "chill out" because of a heatwave that had hit the Highlands. That doesn't happen very often! 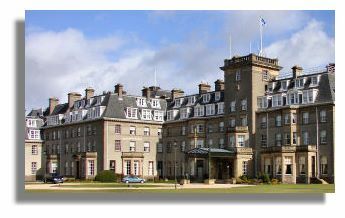 The famous five-star Gleneagles Hotel is not immune to the economic woes and the management has asked all of its 700 to 800 staff to consider applying for redundancy. A favourite destination of the rich and famous, Gleneagles has hosted Hollywood stars and world leaders, including President George Bush and Prime Minister Tony Blair at the G8 conference in 2005. Staff have also been asked if they would prefer to be considered for a voluntary severance package, extra unpaid leave, reduced hours or early retirement as the hotel struggles to reduce costs. Gleneagles has three championship golf courses and is the venue for the 2014 Ryder Cup. The popularity of a BBC TV series on genealogy entitled "Who Do You Think You Are" has apparently resulted in a further surge of interest in ordinary people digging into their family trees. The TV series follows media personalities tracing their ancestors, often with surprising results. You might have thought that with the ready availability of on-line resources, the expanded "Scotland's People Centre" at West Register House in Edinburgh would be well able to cope with callers. But even though researchers have to pay to dig into birth, marriage and death records, all 165 search spaces in the building are well utilised, often being full to capacity. The People's Centre is designed as a "one stop shop" for genealogical research and there are staff on hand to help out. VisitScotland has marketed "genealogy breaks" in the United States, after discovering that one in five US visitors who came to Scotland spent some time tracing their roots here. The General Registers of Scotland (GROS) is trying to encourage other local councils to set up family history centres along the same lines - the Glasgow Room in the Mitchell Library has done this for many years and Dundee has recently opened a new facility in its Central Library. The "Pride O'The Clyde" river bus service operated for a few years on the river Clyde, running from the Glasgow city centre to the Braehead shopping mall a few miles downstream. But it was given little support from the City Council and eventually gave up - moving to Loch Katrine to take over the tourist cruises there for a spell. But now a feasibility study, commissioned by the council, has reported that a fleet of modern catamarans could shuttle commuters (and tourists) from as far afield as Helensburgh and Dunoon on the Firth of Clyde, right into the centre of Glasgow. Waterbus ferries run successfully in many cities around the world, including Amsterdam (pictured here), Sydney, New York, London and Hamburg, where thriving waterbus or water-taxi networks shuttle commuters to and from work. This new report suggests a fleet of 13 catamaran-style vessels would ply between Dunoon, Gourock, Greenock, Dumbarton and Helensburgh. An interchange at Bowling would provide access to an express service to the city centre, with stops at Erskine, Clydebank, Braehead and Central Glasgow. A working group involving Glasgow City Council and the four local government authorities along the lower reaches of the river Clyde is to be set up to take the project forward. Picture of waterbus in Amsterdam via Wikimedia. The 222-room Quality Hotel at Central Station in Glasgow - formerly the Central Hotel - has closed down after its owners went into administration. The A-listed building is one of five establishments in the group to close. Revenue in the hotels fell by 20% in the 13 weeks to December 31 and fell even further in the first week of January. The imposing hotel was built alongside the station in 1883. One of its features was a 17th century Swedish clock tower. Over the years, famous guests have included Frank Sinatra, Cary Grant, Roy Rogers, Laurel and Hardy - and John F Kennedy also visited. The Scottish Society for the Prevention of Cruelty to Animals (SSPCA) has launched a hard-hitting campaign to stop the Royal Society for the Prevention of Cruelty to Animals (RSPCA) raising cash in Scotland. The Scottish organisation goes as far as to say that the RSPCA is "stealing food from the mouths of Scotland's animals". The SSPCA claim that they failed to reach agreement, after six months of talks between the two organisations, on boundaries for fund raising. No money raised by the RSPCA is spent on animals in Scotland and donations are often received by the body covering England and Wales following national advertising. The SSPCA argue that their sister (?) organisation south of the border should be renamed "The RSPCA for England and Wales". The SSPCA say that legacies addressed to "Scottish RSPCA" or "RSPCA Scotland" should be redirected to Scotland. After arguing that they didn't know how much they received from Scotland, the RSPCA admitted accepting around £1.5 million a year from Scottish donors - with 3.5% of its donations coming from Scotland. Regardless of the outcome of the cat and dog fight, the SSPCA has received hundreds of donations since the publicity was published in the media. Amid all the economic gloom it appears that at least one Scottish struggling industry has seen an upturn in its fortunes. The up-market cashmere and quality woollen knitwear companies in the Scottish borders have seen a boom in demand with mills working flat out as turnover increases. The industry has struggled for the last 25 years, but a combination of competitively priced products, a weak pound and increasing demand in the home market have all combined to create major increases in sales. UK department store chain John lewis has reported a 23% rise in cashmere sales compared with last year and the up-market Harrods store in London is seeing increased sales of both womenswear and menswear. Cashmere wool from cashmere goats is fine in texture, and it is also strong, light, and soft; when it is made into garments, they are extremely warm to wear, much warmer than the equivalent weight in sheep's wool. Cashmere weaving in Scotland began in 1797, and the majority of products are exported. The industry supports around 4,000 jobs, mainly in the Scottish Borders. 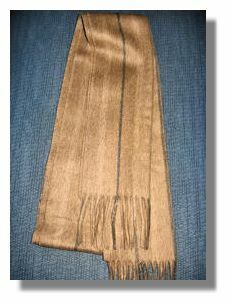 Picture of cashmere via Wikimedia. The Aviemore Sled Dog Rally is one of Europe’s largest sled dog competitions. 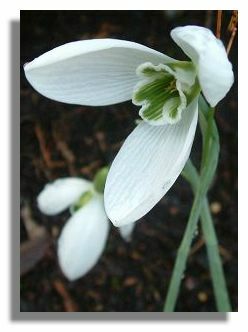 But although Scotland has had a recent fall of heavy snow, the event took place before the arrival of the white stuff. So instead of sleds with runners sliding over hard packed snow, not for the first time, they had to use three-wheeled models instead. And some of the dogs wore protective socks to protect their feet from cuts. Competitors ranged in age from 8 to over 60. Although there were eventual winners in different categories, many of the 250 teams and 1,000 dogs that took part were there to just enjoy participating one of the biggest races in the sled dog racing calendar. This was the 26th year of the rally. Relax - nobody's going to pour the "water of life" into an electricity generating system. But a £65 million bioenergy plant is being built by drinks giant Diageo at a distillery in Fife which will use "spent wash" - a mixture of wheat, malted barley, yeast and water produced during distillation. The spent wash is separated into liquid, which is converted into biogas, and solids, which are used as a biomass fuel source. The process will mean that 95% of the distillery's energy will be from this green source. And it is estimated that this will mean a reduction on harmful emissions equivalent to taking 44,000 cars off the road. 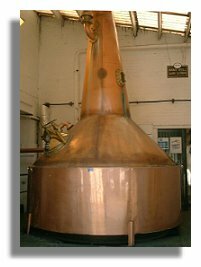 Whether the new electricity generator produces the smell of whisky downwind of the plant remains to be seen (or smelt). The weather experts tell us that this has been the coldest winter in Scotland since 1996/97 and this week parts of Britain had the heaviest falls of snow for nearly two decades, as easterly winds blew in from Russia. It had the biggest impact on the south-east of England, partly because they are not geared to heavy falls of snow. Scotland didn't escape though, with the Highlands, eastern Scotland and the Borders having an appreciable fall. Only Glasgow and the west escaped, with just a light covering. But in the Borders on Tuesday all 74 schools in the region closed and Edinburgh, Glasgow and Aberdeen airports cancelled more than 130 flights. Some long-distance inbound flights to London's Heathrow airport (which was closed for much of Monday this week) were being diverted to Prestwick in Ayrshire (400 miles from London). Motorways were badly affected too, including the M74 route from Glasgow to England. ~ Amusing models of a stylised owl and robin, with a fierce-looking blackbird behind. See This Week's Colour Supplement. Not that it has harbored any criminals for a long time, but Stirling Old Town Jail has now closed its doors for the last time to visitors. The building gave tourists the opportunity to experience life in an authentic Victorian prison - with actors giving theatrical performances as the inspector of prisons, the jailers, the hangman - and a desperate escaped convict - all of whom entered into the spirit of the presentation with creaking hinges, shuffling feet and vivid descriptions. But falling visitor numbers (down 10% last year) has persuaded tourism officials to close it down permanently after what was earlier described as closure for a "programme of maintenance and refurbishment." The decision has angered many in the community and a petition has been organised to get the tourist attraction opened again. It is surprising that the building should be closed now - with an upturn in tourist numbers expected as a result of the 2009 Scottish Homecoming. 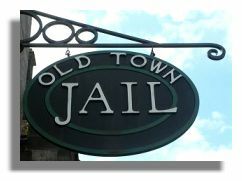 For a flavour of what Stirling Old Town Jail used to be, see Places to Visit - Stirling Old Town Jail. The earliest surviving written record of Scotland's existence is the 1,000-year-old Chronicles of the Kings of Alba, listing the 12 kings of the House of Alpin - Scotland's first royal family. The document also charts a decade in the reign of Kenneth MacAlpin II (who died in 995), during which coups and assassinations appear to have been an almost every-day occurrence. The manuscript contains the very first mention of the country "Albanium" - a Latinised version of the Gaelic name for Scotland. Prior to this, the country had been a collection of tribal territories, including the Picts, Scots and the kingdom of Strathclyde. The document was written in Hiberno-Latin by monks in the early 11th century, shortly after the end of the reign of King Kenneth II. But the little-known document is not held in the Museum of Scotland - it has been in the national library of France since the 17th century. It was taken there as part of a bundle of documents when no-one really knew their significance. Now Member of the Scottish Parliament, Margo MacDonald and Neil Oliver, the archaeologist and presenter of a recent BBC TV series on the history of Scotland, have combined to "demand" the return of the document to Scotland as part of the Homecoming Scotland event. The French Bibliotheque Nationale has so far declined to respond to the request. Often attempts to repatriate such documents are turned down on the basis that they are "not fit to travel". February 8 1587 - Mary Queen of Scots beheaded at Fotheringay Castle. 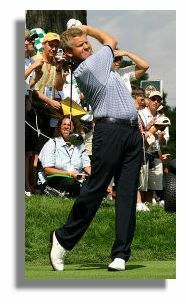 February 9 1958 - Golfer Sandy Lyle, winner of The Open Championship and the US Masters, born. February 10 1306 - Robert the Bruce murdered Red Comyn. February 10 1567 - Lord Darnley, husband of Mary Queen of Scots, assassinated. 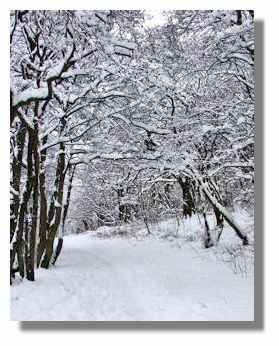 February 11 1895 - Coldest temperature ever recorded in Scotland, -27.2C at Braemar. February 12 1846 - Rev Henry Duncan, founder of the world-wide savings bank movement, died near Ruthwell. February 13 858 - Kenneth MacAlpin, King of Dalriada and the Picts, died at Forteviot. February 13 1692 - Massacre of 38 of the Clan MacIan by government order at Glencoe. February 14 1565 - Mary Queen of Scots meets Lord Darnley for the first time. They married in July 1565. February 15 1971 - Decimal currency introduced, abandoning 12 pennies to a shilling and 20 shillings to a pound. 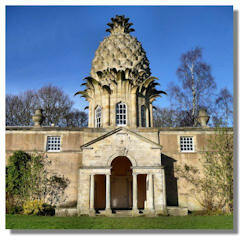 February 17 1540 - King James V passed a law which recognised Scotland's gipsies. February 18 1958 - Writer Ian Banks born in Dunfermline, Fife. February 19 1972 - Death of film director and producer John Grierson, a pioneer of documentary film making. In 1939, he left Britain to set up the National Film Board of Canada. February 20 1472 - Orkney and Shetland annexed from Norway. February 20 1951 - Gordon Brown, UK Prime Minister, born. February 21 1945 - Eric Liddell, "Chariots of Fire" athlete, winner of 1924 Olympics 400 metres, died in Japanese internment camp in China. February 21 2002 - The all-Scots curling team won gold at the Winter Olympics in Salt Lake City, watched by over 5 million TV viewers in the small hours of the morning. The annual Up-Helly-Aa celebrations at Lerwick, capital of Scotland's northernmost islands of Shetland, mark the end of the yule (mid-winter) season. But with its emphasis on the burning of a Viking longship it also recalls the days when Shetland and Orkney were once owned by Norway. The figurehead of the event is named Guizer Jarl and he leads a group of 55 men dressed in Viking costume who spent the whole of last year organising the colourful celebrations. 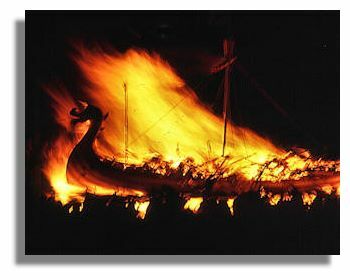 A torchlight procession pulls a replica of a Viking galley through the streets to the shore - where the lit torches are thrown onto the longship to set it alight in a blazing finale. Picture of Up-Helly-Aa via Wikimedia. Edinburgh's Hogmanay celebrations are moving increasingly to indoor events in response to cancellations of out-door cancellations in recent years. The latest to be announced for the New Year extravaganza at the end of this year is "Off Kilter" to be performed over four days at the Festival Theatre. 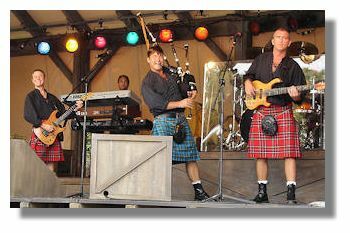 Off Kilter is billed as an eclectic mix of everything from ceilidh to hip-hop dancing. The show will be part of the final events of the 2009 Year of Homecoming, but will go on to tour the UK before transferring to New York. The production will feature choreography by the world-renowned modern dance doyen Mark Morris, who is based in New York, as well as Scottish Ballet. The grand finale will feature a lottery based on ticket numbers where members of the audience will be called to the stage to take part in a ceilidh. The west coast whisky culture festival "Spirit of the West" takes place in Inveraray this May, part of Homecoming Scotland 2009’s Whisky Month. The festival combines both the "water of life" and soothing celtic music and words, poetry, song and theatre. Robert Burns, an enthusiast for a dram is well to the fore with works such as "Freedom and Whisky Gang Thegither". Later life Burns became an exciseman, enforcing duty on whisky and other alcoholic drinks. But his rousing song "The De’il’s Awa wi’ th’ Excise Man" expresses his negative feelings towards such government taxes. The Walking Theatre Company will re-enact the story of Highland smugglers hiding from the excisemen, using historical trails in an outdoor theatre experience, combining spellbinding storytelling with a distinct whisky aroma. Folk singer Robin Lang, who created his one man show "The Angel’s Share" (the name given to the amount of whisky that evaporates during maturing in the wooden barrels) will be singing passionate tales of whisky during the festival. Singer Norma Munro lives on Islay, a major whisky producing island off the west coast and she will be singing local folk songs about whisky during the event. For more details, see Spirit of the West Festival. The death of folk and blues artist John Martyn sparked an outpouring of tributes from other performers and fans. Martyn was raised in Glasgow and was famed for his virtuoso guitar-playing, drawling vocals, and evocative classics like his song "May You Never." He sang alongside artists such as Eric Clapton and Phil Collins. Martyn's records were often autobiographical and reflected his chequered life dealing with drug and alcohol addictions, which eventually resulted in him being confined to a wheelchair - from which he continued to entrance and spellbind audiences. He recently said that he was "very proud" of reaching his 60th birthday. 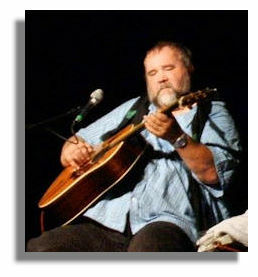 Picture of John Martyn via Wikimedia. The St. Andrew-Caledonian Society of Calgary served its sixth annual Burns Dinner for the Homeless on Sunday, 18 January 2009 at the Calgary Drop-In and Rehabilitation Centre. The event began with a full Burns Show complete with Highland dancing, piping, singing and Burns poetry, all from Society members. The show ended with the 'Address to the Haggis' and then the performers lined up at the kitchen window to start serving those who had come. The meal consisted of roast beef, bashed neeps, chappit tatties, peas, gravy and haggis. Later, the performers repeated the show for those who missed the first one due to space restrictions. In all, the Society served 910 meals making it one of the largest Burns Dinners in Canada. The dinner had been highly anticipated by those who come to the Centre with inquiries starting in early December as to when the haggis would be coming - and even inquiries after as to when it could return. 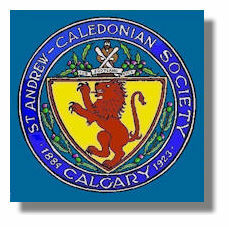 See St. Andrew-Caledonian Society of Calgary. After Rangers were held to a 0-0 draw against Aberdeen in the last Saturday in January, it looked as though Celtic might pull away in the Scottish Premier League title race. But under their new manager, Inverness Caledonian Thistle held Celtic to a 0-0 draw last Sunday, cutting their lead over Rangers to just two points. There is another crunch match on Sunday, 15 February when Celtic and Rangers meet once again. The battle for third place is even closer - Dundee United and Hearts are both 15 points behind Rangers with Aberdeen just one point further back. In the First Division, St Johnstone keep failing to establish a substantial lead. In January they failed to score in their league matches but still came away with one point in both games as their opponents also failed to get the ball in the net. On Saturday, Saints again drew - this time 2-2 against Ross County. The Perth club are 4 points ahead of Partick Thistle, with a game in hand. David Beckham is not just a football superstar (admittedly edging to the twilight of his career) but he is also a media megastar, who attracts attention wherever he goes. So when Beckham arrived at Glasgow airport earlier this week with his current AC Milan teammates (he is on loan from Los Angeles Galaxy), there was the inevitable scrum of media and fans. The Italian club was playing a friendly game against Glasgow Rangers (which would help the Scottish club's finances). Of course, despite suffering from a bad cold, which had precluded him from training earlier in the week, Beckham had to play to keep the fans happy, even if it was only for the first half. Yes, there were other members of the team, including a former European Footballer of the Year, but nobody really noticed among all that Beckham-mania. AC Milan were in the city for just 11 hours (during which they drew 2-2 against Rangers, if anyone is interested). 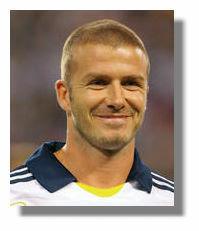 Picture of David Beckham via Wikimedia. Terry Butcher, who won 77 caps for England and captained them to the World Cup semi-finals in 1990, has been appointed as the new boss of Inverness Caledonian Thistle. Butcher has managed Coventry, Sunderland, Motherwell, Sydney FC, Brentford and Motherwell. He is currently assisting George Burley, manager of the Scotland national team. He will continue in that capacity but will give up his work as a media commentator. Butcher's predecessor Craig Brewster was sacked following seven consecutive defeats, leaving the Inverness club at the bottom of the league. In Butcher's first game in charge he made a great start, inspiring the team to a 0-0 draw against Scottish Premier League leaders Celtic. 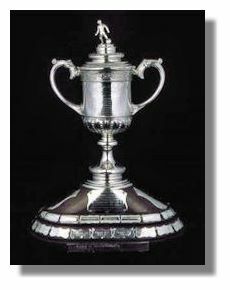 On Saturday, the Inverness club defeated Kilmarnock 2-0 in the Scottish Cup, fifth round. After the disappointments of recent weeks and months, the Inverness fans are justifiably delighted. Any reservations about Butcher being appointed have quickly evaporated! With competition from commercial TV channels showing live games, it is surprising that attendances at Scottish Premier League grounds this season are on the rise. The increase is only modest -from 92,244 per week to 92,918 or 0.7%, year-on-year. But the fact that more fans are prepared to sit and watch the SPL teams in the coldest winter since 1996/97 is good for the game - and the finances of struggling clubs. Scottish golfer Colin Montgomerie was voted by his peers as the next captain of the European Ryder Cup team in 2010 at Celtic Manor. Montgomerie has been a major contributor to the success of the team over many years but had to face competition for the captaincy from such stars as Jose Maria Olazabal and Sandy Lyle. The appointment means that Montgomerie has played in his last Ryder Cup - he had initially resisted suggestions that he should consider the captaincy as he was convinced that he still had a chance to qualify (having failed last year). Montgomerie has been in the winning European team on five occasions. That included the memorable clash in 1989 when Mark Calcavecchia, Open champion two years earlier, was four-up with four to play. But then the American's game fell to pieces and Montgomerie gained the unlikeliest of half-points - winning the final holes in double bogey, par, double bogey, par. He also clinched victory for the team at Valderrama in 1997 and he was the man who sank the winning putt at Oakland Hills in 2004. He has an unbeaten singles record in the competition (six wins and two halves). In the early rounds of the Melbourne Open tennis championship, Scottish tennis star Andy Murray seemed to be cruising through and did not drop a single set until he came up against the Spanish 14th seed Fernando Verdasco, who was in formidable form. Verdasco had done even better than Murray in reaching the last 16, dropping only 12 games en-route to that stage, the fewest number of games conceded through the first three rounds of the Australian Open in the open era. Murray had complained of headaches and a sore throat earlier in the tournament but began well, winning the first set 6-2. But he lost the second set 6-1,, recovered in the third set with a 6-1 win and then lost the final two sets 6-3, 6-4. The Scot had never lost to Verdasco on five previous occasions. For a lively night out, whether a visitor to town or a local resident, this Mexican bar and Grill could not be more central. There is a vibrant blue and yellow décor, soft red lighting, cool salsa sounds and smiling staff. This is the place to sit on a stool, chat to the bar tenders and sample the real Tequila with 47 different types and brands. tables are covered in traditional red and white check tablecloths with rustic country style basket wicker chairs. There are vintage Tequila posters, decorative terracotta floor tiles, artwork and menu blackboards all adding to the atmosphere of an authentic Cantina. The Grill menu offers a wide range of hamburgers, cheeseburgers, king prawn starters and steaks - more Texas USA than Mexico - so to experience true Mexican food, chose from the appetising selection of Tacos, Beef chilli, Wraps, Quesadillas and Fajitas. For a taste of sunny Cancun lifestyle in the centre of New Town Edinburgh, head to Tequila Joe's for a warm and friendly welcome. For a full, illustrated review, see Tequila Joe's, Hanover Street, Edinburgh. The next in the series of features by Ian Kendall, which shows how Scottish place names can be found in major towns and cities around the world, covers Minneapolis-St. Paul. Of the names of the 345 communities and neighbourhoods in Greater Minneapolis-St. Paul that have been identified to date, 57 (16.5%) are based, in whole or in part, on place names that can also be found in Scotland, on Scottish family names, or on Scottish words. Of course, many of the names are used in other parts of the British Isles as well but at least 29 (8.4%) of these appear to have a unique connection with Scotland. Many lakes, parks and golf courses throughout the metropolitan area also have names that are likely to be of Scottish origin and these are covered too. 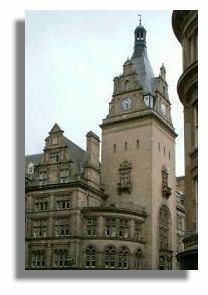 For all the details, see Scotish Place Names - Minneapolis-St. Paul, Minnesota. It is surprising that the 19th century author Marion Bernstein should have such radical views of sports that involve he killing of animals, birds and fish! What are you to the hero who brings down the stag? To win manly applause, or the smiles of the fair. With horses and hounds, and with heartstirring halloo! Can only be matched in a real slaughterhouse. And what manlier pleasures can any one seek? She was killing herself by degrees. Jeannie and Morag, two golden-agers from Inverurie were discussing their husbands over lunch. "I do wish that my John would stop biting his nails. He makes me terribly nervous," said Jeannie. "My Angus used to do the same thing," Morag replied. "But I broke him of the habit." Jeannie looked impressed and asked: "Really, how?" Morag smiled knowingly and replied: "Easy, I hid his false teeth." That great Highland philosopher, Lachlan McLachlan, propounded a number of irrefutable laws of life, the universe and everything, usually after a "bevvy" in the Auchenshuggle Arms on a Saturday night. Here is another example: "Life is like a roll of toilet paper. The closer it gets to the end, the faster it goes." A Scotsman was dying. On his deathbed, he looked up and said: "Is my wife here?" His wife replies: "Yes, dear, I'm here, next to you." 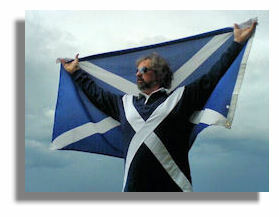 The Scot goes on: "Are my children here?" "Yes, dad, we are all here." say the children. The Scot struggles on and asks: "Are my other relatives also here?" And they say: "Yes, we are all here..." The Scot then gets up and says: "If nobody is sneaking into my whisky, then why the heck is the light on in the kitchen?"